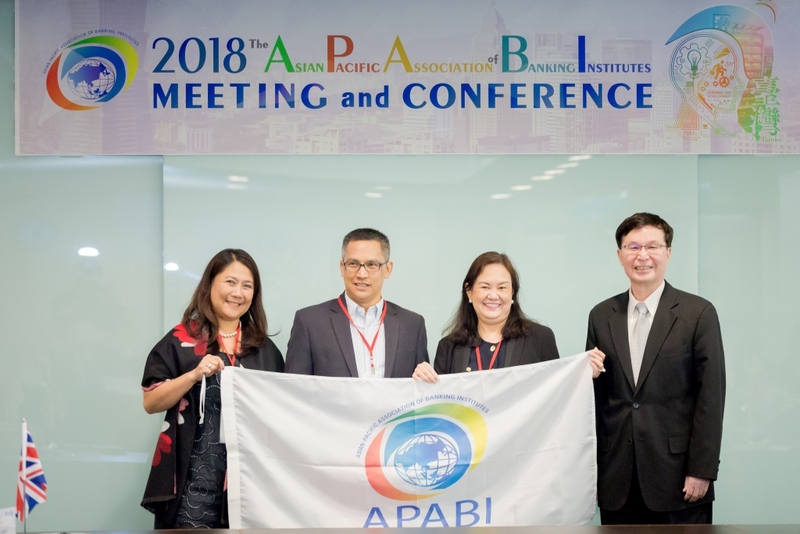 The 2018 (18th) APABI Executive Meeting and Conference, hosted by the Taiwan Academy of Banking and Finance, was successfully concluded on 11 May, in Taipei, Taiwan. A total of 26 distinguished delegates attended, including 14 member institutes and 4 guest institutes from 15 countries. With the prominent role of FinTech in finance recently, profoundly reshaping the global financial services industry and the development of its personnel, the theme of APABI this year was “FinTalent Development in the Digital Era.” Feedback from the delegates was positive, as the it prompted them to further explore and exchange ideas on next-gen financial talent development and learning innovation. In addition, APABI’s membership was successfully expanded to 20 members, as the Emirates Institute for Banking and Financial Studies from the U.A.E. was approved to join, an important milestone in APABI’s development. As the 2018 APABI Executive Meeting comes to an end, a new beginning is just being unveiled. We look forward to deeper exchange and more progress among APABI members in the coming years to promote human capital development in the financial sector.